I had a Darden gift card that I decided to use at Longhorn Steakhouse in Lake Mary. I ordered the Grilled Trout Topped with Shrimp & Lobster. The meal came a Caesar Salad which was served first. The rainbow trout came out next, served with a side of mashed potatoes. It all tasted good, but I was disappointed with the shrimp & lobster. There were two little shrimp and one or two tiny pieces of lobster meat. The majority of the topping consisted of chopped tomatoes and corn. While it did taste good, the upcharge from the plain rainbow trout on the menu didn't seem worth it based on what I received. 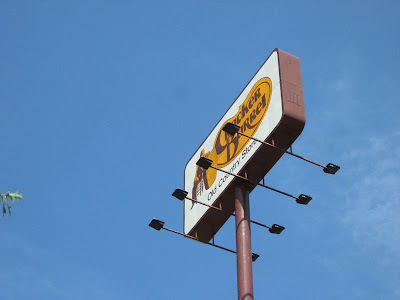 In my travels, I ate lunch at the Cracker Barrel right off of I-95 in Elkton, MD. 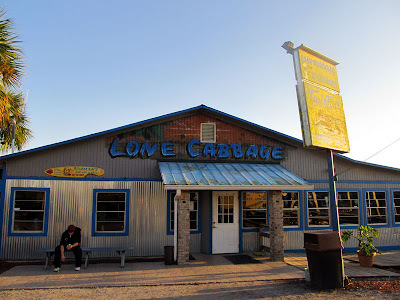 It had been a long time since I had visited one of these restaurants, so I had somewhat forgotten what the menu was like. 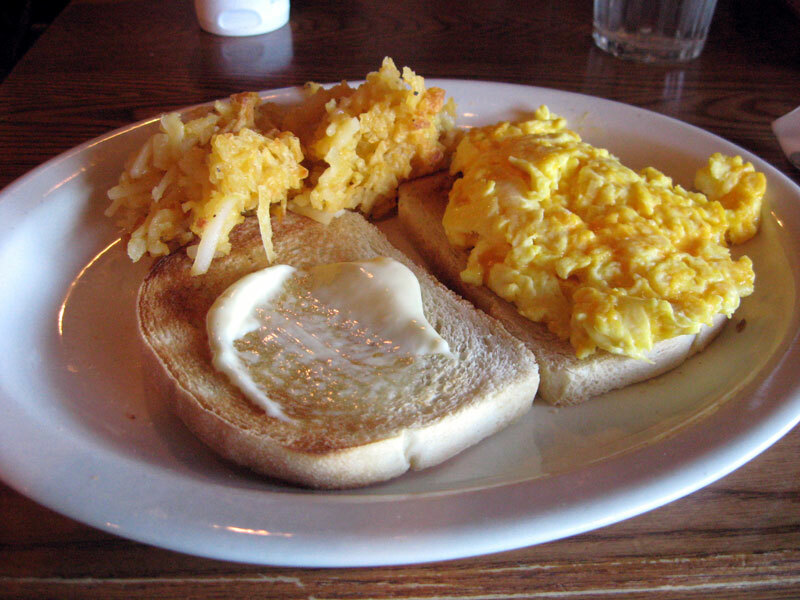 Breakfast is served all day and some of their breakfast items are quite affordable. 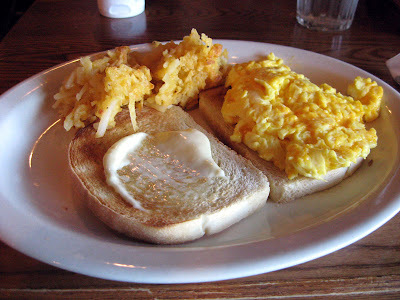 The egg sandwich served on sourdough bread with a side of hashbrown casserole was only $4. The price was good, but when everyone at the table ordered these $4 breakfasts, the waitress got kind of nasty. I guess she did the math and figured the tip on a table of three worth $12 rather than a table spending $30 wasn't worth her time. Whenever she did return to the table, the waitress kept on making awkward religious statements. Thought it was a bit inappropriate in a chain restaurant and overall was just weird. Decent egg sandwich though! 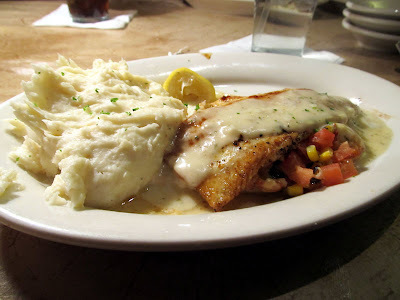 During another recent visit to Cracker Barrel, this time closer to home, I had dinner at the restaurant in Sanford, FL. The restaurant had a half hour wait which is totally not worth it, but it allowed time to browse the attached gift shop and see the surprisingly large inventory of Sarah Palin audiobooks and overpriced junk covered in bible verses. Perhaps the religious comments made at the Cracker Barrel in Elkton make more sense after taking a look at what they sell. Eventually, we were seated and I ordered the Rainbow Trout. It came with biscuits and two sides. I picked the hashbrown casserole and turnip greens. I really had no complaints about the food itself. Everything I tried during this meal was tasty, although the presentation of the trout could have been vastly improved. It's a big plate. There's no reason to put the side on top of the fish, leaving the rest of the plate empty. On another visit to a Cracker Barrel somewhere, I tried their Chicken and Dumplings. The southern version of dumplings served with chicken and dumplings is interesting to me. 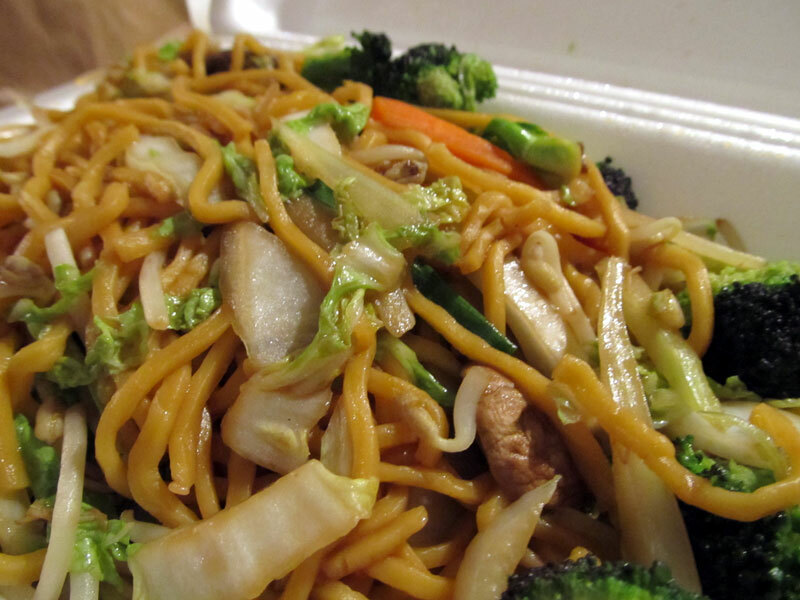 When I think of dumplings, I think of them being filled with something, while these are just thick noodles. Is this typical of chicken and dumplings, or is this just how Cracker Barrel does it? Cracker Barrel has better food than I remember. I still would consider it travel food, not only because all of the Cracker Barrels that I know of are located along an interstate, but also because it seems that's almost always when I end up at one. For travel food though, it's definitely a better choice than a Denny's or Waffle House! 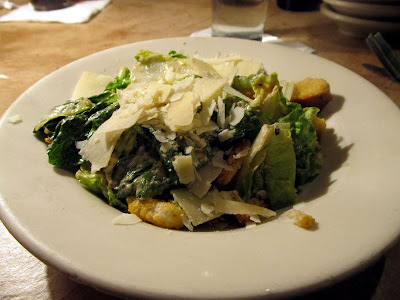 I ate dinner at Il Forno in Lakeland. Hidden in the back of a strip mall, Il Forno seemed a little hard to find without already being in the mall. Apparently the location isn't hurting them since the restaurant was pretty crowded when I visited. We ordered a large cheese pizza. Florida is the land of mediocre pizzas, so I wasn't expecting anything great. Not expecting much made it even better when it turned out Il Forno makes a very nice NY style pie. The pizza had a thin crust with a good sauce to cheese ratio. Some people find this disgusting, but I like it when oil begins to pool on the surface of the cheese on a pizza. It happened here. Beside being well made, the pizza was also very tasty. The sauce had good flavor and the cheese was nice and salty. Unfortunately, my picture of the slice doesn't do the pizza justice. Everyone at the table ravenously grabbed their slices with the pizza fresh out of the oven. Since the cheese was still a bit molten, it made the slice look a bit messy. It looked better in real life! So far I've had three different pizzas in Lakeland. Il Forno has my favorite so far! 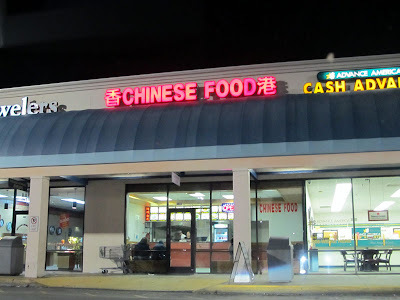 I picked up some takeout from Hong Kong Chinese Food in Sanford. I ordered wonton soup and a small vegetable lo mein. It was about a ten minute wait for the food. As I was sitting there waiting, I witnessed two separate people come in and order something, then get on their phones to start complaining about how horrible it is that they are being forced to wait ten minutes for their crab rangoons. Really? Ten minutes is too long of a wait for some freshly made food? My ten minutes went by rather quickly thanks to the unintentional entertainment, and soon enough my food was ready. 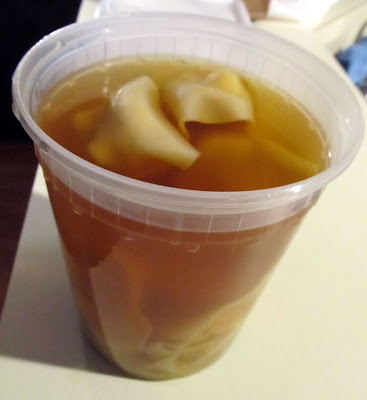 The wonton soup was good. It didn't have any shredded pork at the bottom, but it still had tasty wontons and a nice flavored broth. 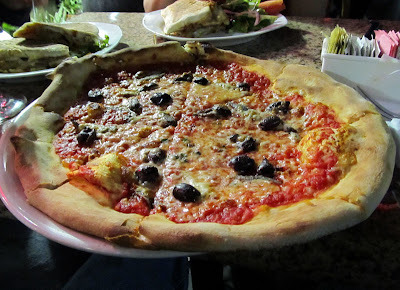 I've been wanting to try the pizza from Terra Mia for a while now, but I had difficulties tasting their food for the longest time. 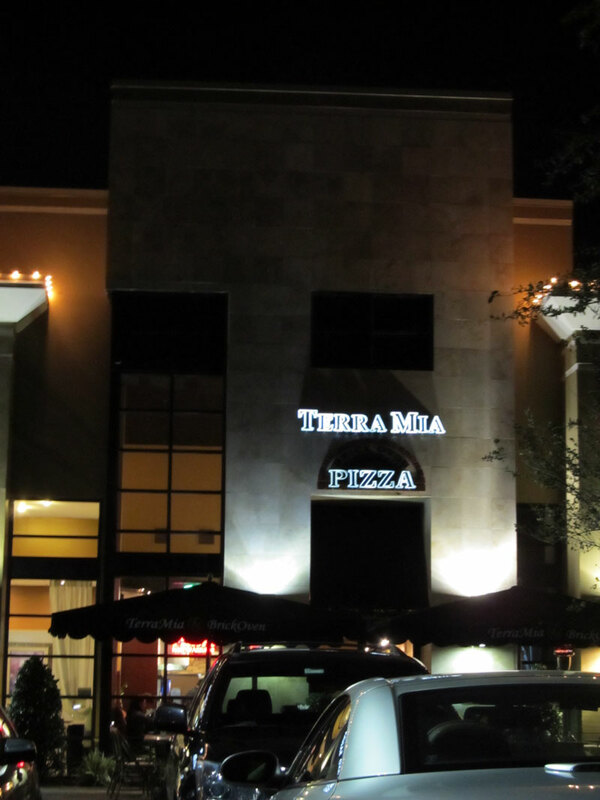 I tried visiting the Terra Mia in Lake Mary on a few occasions and each time there was either a huge wait or the restaurant was closed for the day. On another attempt to try Terra Mia's pizza, I visited their Longwood location only to find out they don't serve pizza there. Finally, the Pizza Gods must have smiled on me. On a recent evening, I was in Lake Mary and Terra Mia was both open and without a wait, and top it off, their pizza was really good too! My pizza was topped with anchovies and kalamata olives. The crust was some of the thinnest I've had in the area while still having a nice rise around the edges. Somebody did a very nice job with the dough here. 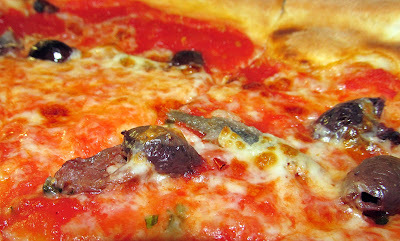 The flavor of the anchovies and olives combined with the salty cheese was a little strong, but I liked it. With the majority of the pizza in the area being mediocre, it's refreshing to find someplace like Terra Mia that has good pizza! I ate lunch at the Lone Cabbage Fish Camp, located on 520 between Cocoa and Orlando. It's one of those places that reeks of classic Florida, located right along the St. Johns River with a constant flow of airboat traffic going by. Then I walked down to the river and saw this gator peeking out of the water. 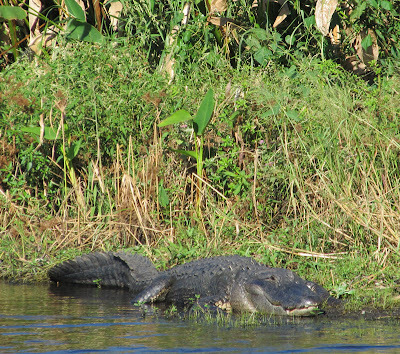 Is it strange that while looking at this guy in the river, I decided I wanted some alligator for lunch? Once inside, I started looking over the menu and decided to do one better than just alligator. 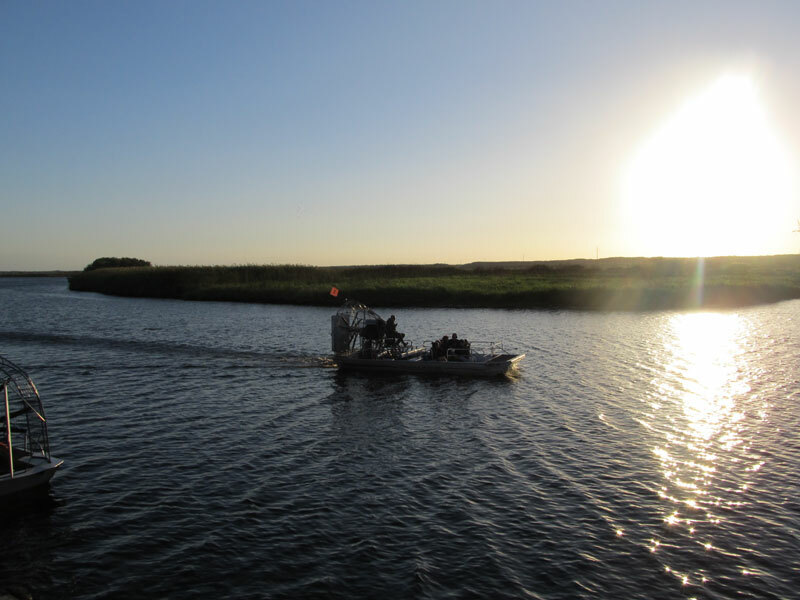 I ordered the combo which consisted of not just one, but three river dwelling creatures. 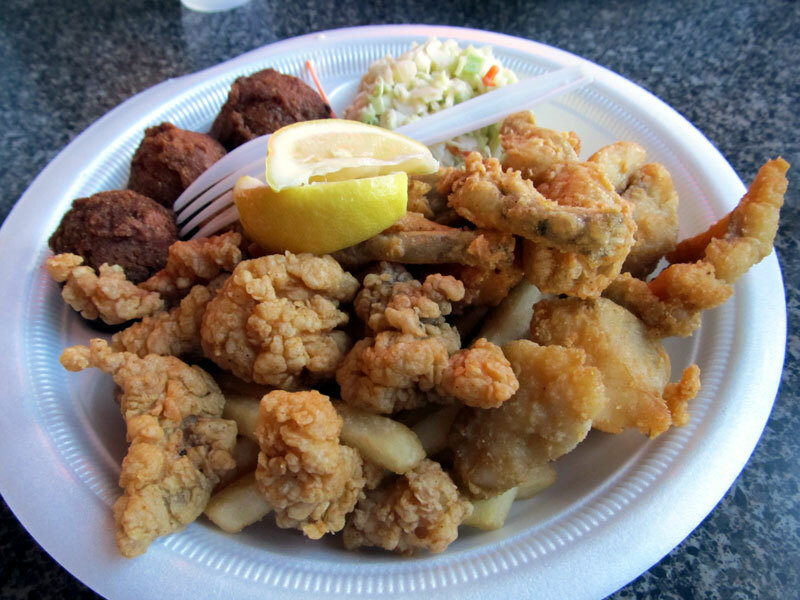 The combo came with alligator, frogs legs, catfish, hush puppies, cole slaw, and fries. Everything on the plate was deep fried (except the cole slaw). It was far too much fried food and I ended up leaving some of it over. 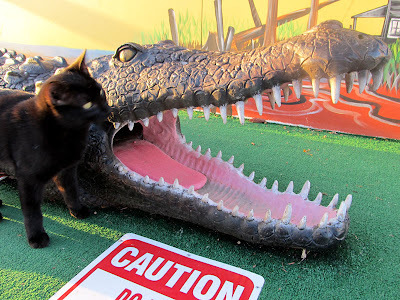 The gator was the best meat on the plate, with the catfish being tasteless and the frog legs being far too slimy for me to eat more than one. 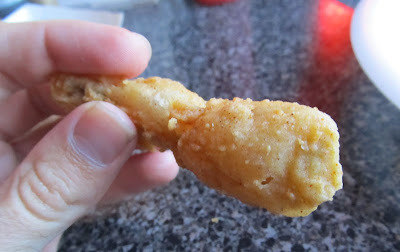 I would even say the frog legs were undercooked based on the consistency. I've only eaten the meat a couple other times though so I'm no expert. I ordered the Matsu Bento Box. It started with a salad. The box was filled with chicken, shrimp & vegetable tempura, california rolls, and fried rice. 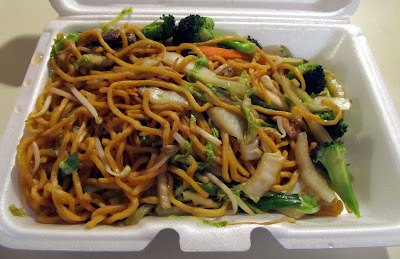 Everything in the box was delicious leaving me with no complaints about the food. This bento box did cost a bit more than other similar lunches I've had elsewhere. Given the downtown location and double meat, the higher price was fine, but it also would have been nice if they gave both soup and salad. I visited El Palacio de Los Jugos on Flagler Ave during a recent visit to Miami. It was in my conciousness since I remembered seeing an episode of VendrTV on the place so I decided to check it out. El Palacio de Los Jugos was set up with several counters, each selling a different type of food. There was an outdoor pork counter, seafood counter, and sandwich/coffee counter. Inside, there was the juice counter as well as lots of fruits and vegetables for sale. 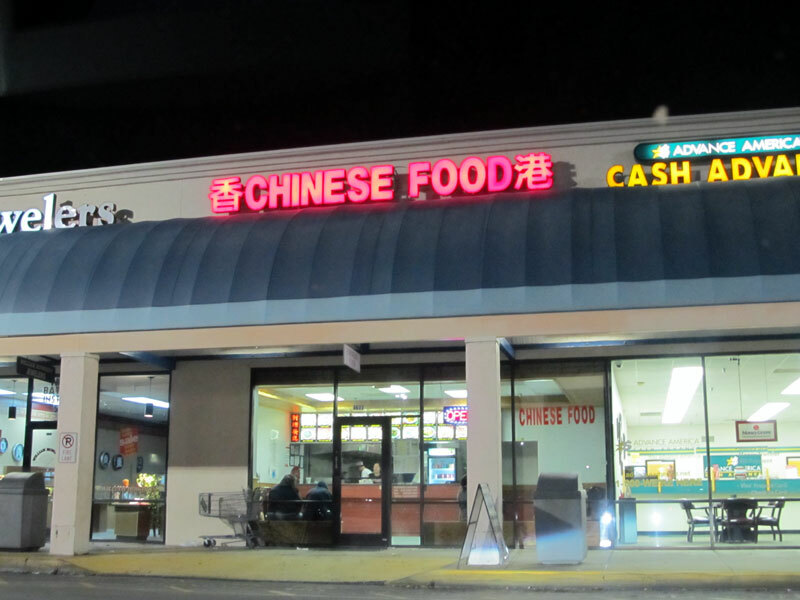 When I was going to order something, I realized that there was zero English being spoken here. It was really quite intimidating with my very limited Spanish language skills, but I was able to manage by walking up to the juice counter with Jugo de mamey, por favor. It got the point across and I received my cup of mamey juice. Since this was the Juice Palace, I was expecting good juice. The mamey juice did not disappoint. It tasted like pumpkin pie in liquid form. The cup was huge and it only cost $2! Because I had previous plans for dinner (and they ended up being closed) when I happened upon El Palacio de Los Jugos, I unfortunately didn't try any of the food on this visit. I'm definitely making a point to return here to sample some of their Cuban food on a future excursion to Miami! There were also lots of other vendors selling pretty interesting foods. Lots of Latin-American foods and many of these vendors seemed local rather than touring with the carnival. Here's a stand selling steak kabobs cooked on a spinning rack over an open flame.